As Sony still keeps the public waiting over the release of the PlayStation 4 Neo, Microsoft has rushed ahead of the Japanese tech giant to unveil a new Xbox One S, which is in itself a huge tweak to the original Xbox One. The new Xbox One S comes in to solve some of the major issues and errors encountered on the original console, which was actually introduced back in 2013. Other than solving issues, the new update also comes in with quite a number of new additions that you will definitely enjoy. Its availability has been reserved for August, however, we have details of what the device looks like as well as the specs it packs, among other things. Without going into much chitchat, here are 5 reasons why the updated Xbox One S is a lot better than what you get with the original Xbox One. 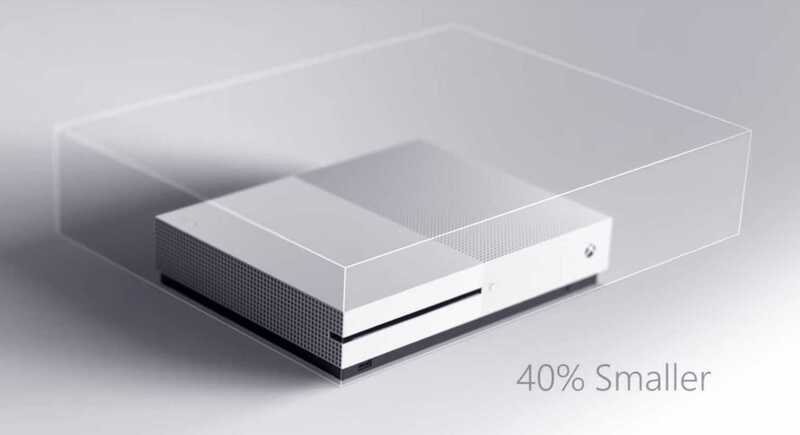 The brand new console is smaller than the original by up to 40%, which moves it closer to the size of the PlayStation 4. With this, you will be freeing up some reasonable amount of space as far as your home entertainment focus is concerned. The fact that the One S also ditches the power brick in favor of internal power supply also plays a lot in the redesigned looks. When the Xbox One S launches later in August, Microsoft will initially avail the 2TB version and later in the year a 500GB variant will follow up. It is the latter that has an eye-catching price of just $299. However, the former will set you back an extra $100. There is also a middle-of-the-pack variant that carries 1TB and it will be priced at $349. Still, the new gadget will be pricier than the original console, which is now valued at $279. As pointed out above, the high-end Microsoft Xbox One S comes with onboard storage of 2TB. When compared to the top-tier offerings from Sony’s PS4 and the Xbox One, this is double the amount. There is no doubt that the additional 1TB will provide plenty of room for storing even more games. The new Xbox One S will be coming in with enhanced support for 4K resolution as well as HDR (high-dynamic range). While the device will be able to support 4K videos, the story will not be the same for games. The result of this is more vibrant colors and even darker blacks, but only when interacting with compatible titles as well as TVs. The same 4K support extends to 4K Blu-ray discs as well. In addition to coming in with updates to the console, the new Xbox One S also comes with an updated wireless controller that features a better-textured grip as well as range. In addition to this, you will also be getting Bluetooth wireless that will allow using the console with Bluetooth-enabled tablets and PCs without the need of a USB dongle. Despite coming in with updates, the Xbox One S still accomplishes everything that the One does, including playing the same games its predecessor does. However, you will need to have an adapter just in case you want to add a Kinect sensor. Preorders are already underway in the U.S. and the UK, among other regions.